How Rackspace Creates the Next-Generation Customer Experience | Constellation Research Inc.
Rackspace chose to implement a global online community powered by Zimbra to provide its customers with a central place to share questions, discuss challenges, rate content and provide feedback about Rackspace's products. 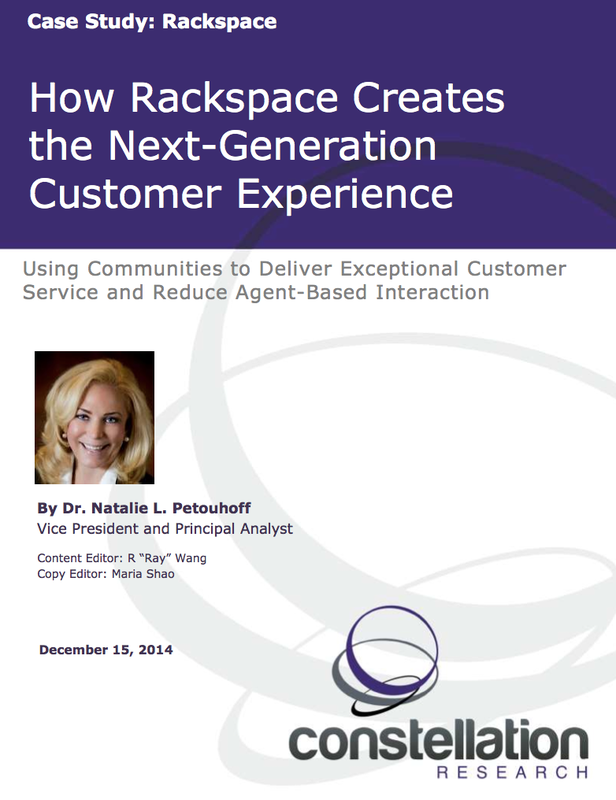 This community focuses on scalable delivery of Rackspace's signature customer service, educating core customers, increasing customer engagement, and sharing Racker knowledge. This case study examines Ian White's implementation and deployment of Zimbra. Ian White won the 2014 SuperNova Award in Next Generation Customer Experience for his leadership of this project.